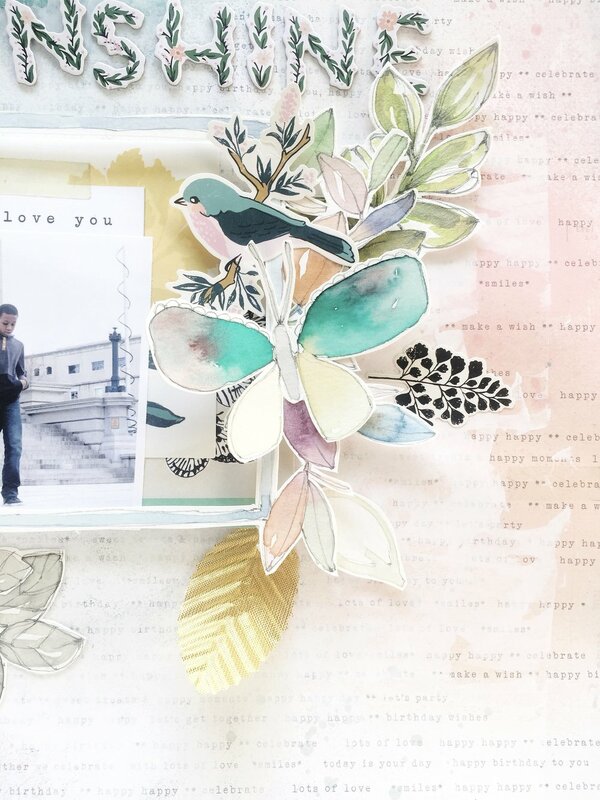 I got a chance to play with some of the goodies from the new Maggie Holmes "Flourish" collection and what can I say, it is all about spring! These cool vine alphas caught my eyes as well as the stickers and embroidery pics. I tend to use things from all sorts of collections but their were so many fun things to work with in this one. My page started with a page from an older collection that I used a bit of gesso to paint over and create more white space. I sprayed a little color using my color shine sprays. Just a little goes a long way! Then stencils to create dimension. You can almost never go wrong with this effect and it comes out very pretty most times with just a little drying time. I can never get through my mixed media journal but I can work one scrap page and finish it very quickly. 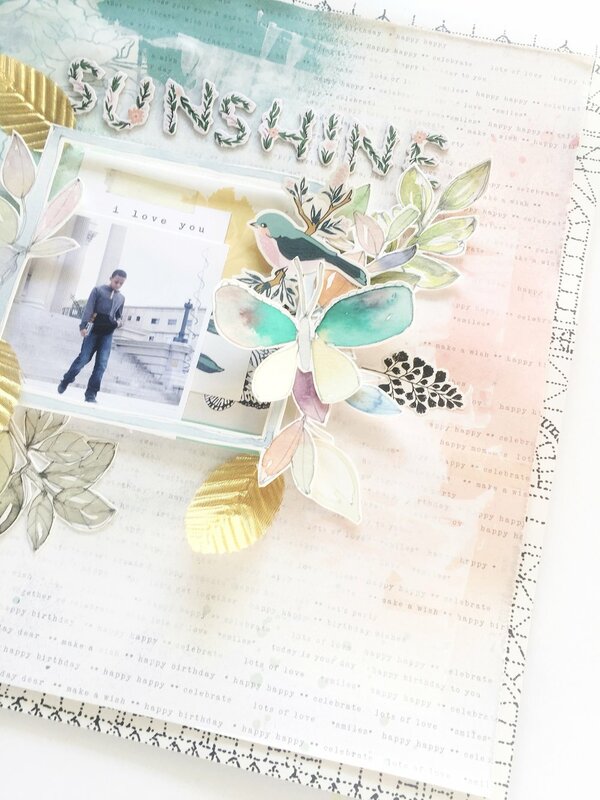 I prefer to start with a neutral paper and play around with paint a little to make something unique, light and airy. I painted a little watercolor Frame and leaves to be the focal point and then surrounded my frame with a few leaves and Maggie Holmes stickers. I just wanted to pop in a share a few more pics of the full layout. It's always hard for me to get over here and post to my blog.